Outsmart, the trade body for the Out of Home (OOH) industry has announced that Out of Home revenue reported for the quarter July to September 2018 saw the total market grow by a significant 7.3% from £280 million in Q3 2017 to £300 million in Q3 2018. The figures, collated by PwC, show Digital Out of Home has driven significant growth, with an increase in revenue of 19% year on year, higher than the growth seen in Q2 2018 of 6.4% YOY. For the first time this year, digital revenues account for 50% of total Out of Home revenue, a total of £151 million. Revenue from Classic Out of Home continued to remain robust with only a slight decline of 2.4% in Q3 2018, as digital panels continue to replace classic panels in certain locations. 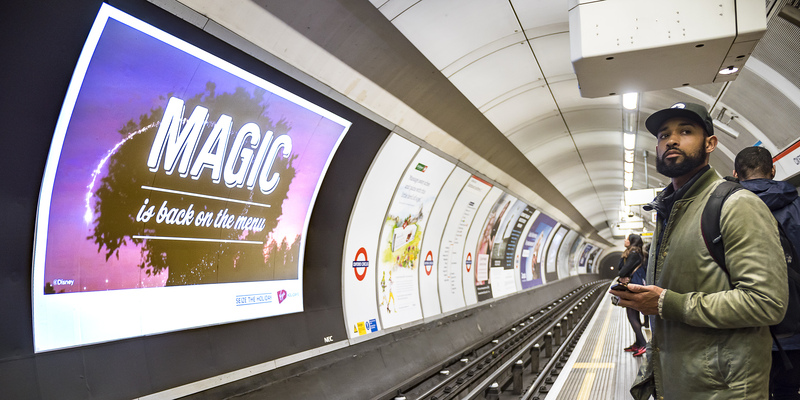 The reach and scale of Classic Out of Home remains huge with 98% of the UK population seeing OOH each week, 63% of which see DOOH, up 50% in the last 12 months. 94% of Greater London now see DOOH each week, but its reach is not confined to the Capital: 78% of the population in Edinburgh, 85% in Glasgow and 89% in Birmingham see a DOOH ad each week. Route’s JIC data has become more accurate than ever before. With the introduction of the updated Traffic Intensity Model, measuring real-life behaviours enables planners to deliver campaigns with greater precision and better understand the Out of Home audience. Download a detailed breakdown of OOH revenue figures here.